“Individuals” refers to each one of us â€“ and our personal efforts to reform our characters â€“ by eliminating negative karma inherited from our ancestors and by promulgating positive karma. This means radically altering oneâ€™s personal character. In “families,” it is not only about transforming one person or another. It is about constructing united families where all the members join hands â€“ thus, creating a collective force which will become a positive influence that permeates society. Finally, when we think about “society”, we envision powerful families uniting and exerting an extensive impact that results in “contributing to the Peace of the world by the consolidation of virtuous merits” â€“ in the words of Mrs. Kotani. We must begin by assessing the condition of the world we live in today! We must admit our blame for its sad state! Obviously, we are facing multiple conflicts and tasks. The teachings of Reiyukai are to be implemented through actions and not by sitting idly by merely immersed in oneâ€™s thoughts. Let us ask ourselves â€“ what can we do to transform the hearts of people who have created the problems and conflicts that we are facing now? 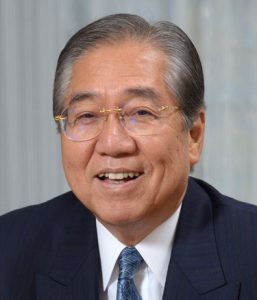 Once again, we come back to the origins of Reiyukai â€“ respecting the spirit of the founders, Mr. Kubo and Mrs. Kotani, who founded an organization dedicated to involving people in improving society â€“ and whose principles are etched deeply into our spirits and hearts. Let us join hands among ourselves and with other organizations â€“ wholeheartedly renewing our efforts to create better persons, better families, and a better country!